In 2015, we transitioned our practice to a membership-based only concierge practice by creating the Ameli | Dadourian Patient Alliance. There are numerous reasons why we made the decision to become a concierge practice, but the bottom line is, medical care is changing and most of the changes are not in your best interest. These all seem to be the new norm in health care and not the way in which we want to treat you. Creating a membership-based practice allows us to limit the size of our practice and continue delivering the same level of personalized attention without resorting to any drastic changes that unfavorably impact the quality of your care. Patient Alliance – Cardiology care. This is individualized health care for your heart and vascular system. Complete Care – Primary care and Cardiology care. This is individualized health care for your heart and vascular system, as well as, covering all your primary care health needs. By joining the Patient Alliance or Complete Care program at the Ameli | Dadourian Heart Center, there are several services that you receive as of a result of our high standard of care. 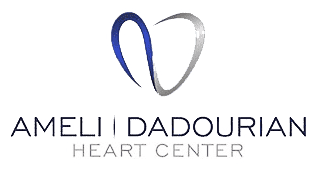 As a patient of the Ameli | Dadourian Heart Center, you not only receive comprehensive and personalized care, but we also pride ourselves on offering an enhanced patient experience that is difficult to find in a typical doctor’s office. The program fees are not for any services already covered by Medicare or your private health insurance. For more information on our concierge programs and services call our dedicated number, 702-209-2929. We truly consider it a privilege to take care of your health and we look forward to seeing you. The Patient Alliance and/or Complete Care Terms and Conditions below together with the executed Enrollment Application and Agreement (the “Application”) constitute the agreement (this “Agreement”) between the patient (the “Patient”) executing the Application and Ameli | Dadourian Heart Center with respect to its Patient Alliance and/or Complete Care program ( the “Patient Alliance” ) ( “Complete Care” ). Services. The services (“Services”) furnished to the Patient while enrolled in the Patient Alliance/Complete Care are as follows: Longer appointment times to learn and listen to your health concerns; Personalized health education presentation and discussion; Access to your Patient Portal for secure communications with our office; On-site diagnostic testing; Same, or next day, appointments; 24-hour emergency access to your physician; During normal business hours: telephone calls are answered by our office staff and non-emergency prescription refills are within 24-hours. Patient Alliance/Complete Care Participation. Your remittance and our acceptance of the said fee confirms your participation in the Patient Alliance/Complete Care program and the automatic renewal of our Terms and Conditions. Term. The Patient will be enrolled as a participant in the Patient Alliance/Complete Care for a term (the “Term”) of either one (1) year. If the patient does not pay the renewal Participation Fee prior to the completion of the Term (as from time to time extended), his or her participation in the Patient Alliance/Complete Care will be terminated at the completion of the Term. All Participation Fee payments are due upon enrollment and continued enrollment in the Patient Alliance/Complete Care and are non-refundable. Medical Care Services that are not a Part of the Patient Alliance/Complete Care Services. Only the Services enumerated in Paragraph 1 of this Patient Alliance/Complete Care Terms and Conditions are furnished under the Patient Alliance/Complete Care and paid for through the Participation Fee. Except for those Services, the Patient and/or the Patient’s insurer, as the case may be, will be financially responsible for paying for all healthcare and medical care services received by the Patient and Ameli | Dadourian Heart Center. Ameli | Dadourian Heart Center will bill the Patient and/or the Patient’s insurer, as the case may be, for those healthcare or medical services provided to the Patient. For the avoidance of doubt, the services furnished under the Patient Alliance/Complete Care program and paid for through the Participation Fee do not cover those services that Medicare or the Patient’s health insurance pays for, including, without limitation, any Medicare- or insurance-mandated initial or annual physical examinations. Co-Payment. The Participation Fee does not affect the copayments, co-insurance or deductibles that the Patient is required to pay pursuant to the terms of his or her insurance coverage. The Patient will continue to be financially responsible for any copayments, co-insurance or deductible amounts required by his or her insurer. Electronic Communications. Patients may send secure electronic communications to and receive secure electronic responses from Ameli | Dadourian Heart Center through the secure patient portal (traditional e-mail and text are not a secure medium for sending or receiving potentially sensitive personal health information). However, the Patient acknowledges that e-mail or text in any form is not an appropriate medium for urgent or time-sensitive communications, and accordingly, all urgent or time sensitive communications from Patient to Ameli | Dadourian Heart Center will be made by telephone or in person. Miscellaneous. This Agreement contains the entire understanding between Patient and Ameli | Dadourian Heart Center with respect to the Patient Alliance/Complete Care and may only be amended by the parties in writing. Any communication required or permitted to be sent under this Agreement shall be in writing and sent via U.S. mail to the addresses set forth in this Agreement. Any change in address shall be communicated In accordance with the provisions of this section. This Agreement shall be governed by and construed in accordance with the laws of the state of Nevada and the exclusive venue for resolution of any dispute between the parties hereto shall be the federal and state courts located in Clark County, Nevada.